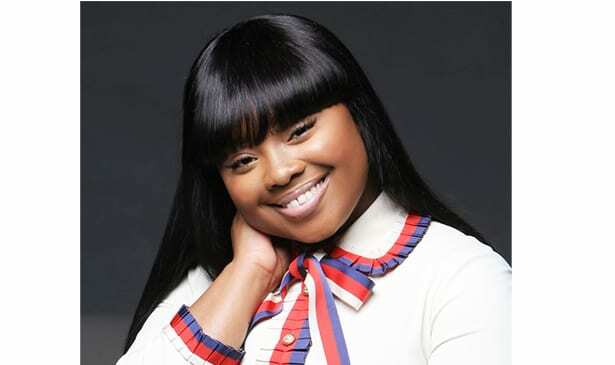 WEST MEMPHIS, TN — Whether it’s in music, books, or acting, gospel singer/speaker Jekalyn Carr is making an impact using all of her God-given talents. As a recording artist, the 20-year-old singer made her national music debut in 2012, with the hit single “Greater is Coming.’ Last year proved to be even more of a banner year for Jekalyn, which included 2 Billboard Music Award nominations, a nomination for a Grammy, and her acting debut on OWN Network’s hit original series “Greenleaf.” Jekalyn will also have a large role in the upcoming 2018 film “Never Heard,” alongside several big names including David Banner, Karrueche Tran, Robin Givens, Romeo Miller, Master P, and Kandi Burruss. Here, Jekalyn answers 5 Questions about her upcoming conference, music and her life as a successful young Christian leader. felt that it was time but then too, I knew that at some point God would use me to write a book. I just didn’t know that ‘ You will win” was the first one. And a lot of people don’t know this but, it was actually in the making two, for two, three years. Even before the song came about. And so, God was just like, it’s not just about them declaring they will win, it’s about them having the information so that they can win. TRIBUNE: Tell me about your upcoming conference in Memphis. Jekalyn: Yes, the conference is called ‘You will win.’ It’s June 21 – 22 in Southaven, Mississippi in the Memphis, Tennessee area, at Brown Missionary Baptist Church. The nightly services are free and open to the public…I just want to offer information about Jesus to the people, so they can hopefully live a more well-rounded winning life. I just believe that it’s not God’s intention for us to win in one area of life and lose in the rest. Again, the nightly services are free. The registration is going on now. Visit www.youwillwin.org to get all of the details. TRIBUNE: I understand that you’re also an accomplished motivational speaker. How old were you when you gave your first motivational speech? Jekalyn: I’ve been speaking since I was about thirteen years old, that’s when I officially started…I’ve known for most of my life what I wanted to be when I grew up…At age five, I knew that I wanted to be a singer. And then at the age of thirteen, it just all got even better for me…At the age of fifteen, that’s when was my music was expanded to the world through the hit song ‘Greater is Coming.’ And so, you know, once I started speaking it just all went from there. TRIBUNE: You’re a successful young Christian lady that’s a millennial. What are two issues that, you’ve noticed people in your age group are really grappling with? Jekalyn: One thing that I see a lot of, among young people in general, is that so many feel like you need to accept what the enemy has to offer in order for you to become great or become famous and successful in life. But the Bible clearly tells us that God will make our name great anyway. So, it’s just all about us having patience when it comes to the plans of God. And so, now there are so many young people who are really grabbing a hold to that and understanding that Gods plans are far much greater for us anyway. And once we align our wills to the will of God, we can get to where God wants us to be even quicker, far much more quickly than we can ever try to do it, when we try to do it ourselves. And so now they are grabbing a hold to that and they are understanding that, yes, of course, it doesn’t happen overnight, it takes a lot of work, perseverance, patience and of course, having God in the center of everything that we do. With those components, you are bound to be successful.